I am going to present you my own story and first experience in event blogging field. Many youngsters looking different ways to start setup in online field, some of them choose affiliate marketing, some of them choose forex trading and some of them choose Search Engine Optimization (SEO). Well, SEO fascinated me a lot and I opted to go with ranking my blogs high in Search Engine and see realtime analytics and get excited how people from different part of the globe searches and stays at your blog, thats brilliant, isn’t? Let me introduce myself, I am Sheikh Hassan, an I.T. Professional, have completed BS (Hons) in Information Technology from University of Education last year. I started off my seo journey back in 2014. At that time, I didn’t take it serious and the reason was my study. At the end of 2015, I have decided to learn about SEO and how it works. Well, I went to my teacher M Tanveer Nandla who had taught us web programming in 7th semester, he is one of the best blogging Expert, SEO Guru, King in Event Blogging and also known as Dr. Blogging. He runs his own software house and I became very happy when I was selected for Internship offered by Sir M Tanveer Nandla. After 3 months of internship, I was confident enough to start my own websites and rank them. Three months with passionate and professional people like Sir Tanveer, Zahid and Jaffery bhai was best not only in terms of learning SEO but learning how life is spent and how to make every second of your life cheerful. Coming back to the point, I started my professional journey from Dec 2015 and work under the supervision of M Tanveer Nandla. He is one of the best mentor and teacher I have ever seen. The reason is; he never force us to work for himself rather he encouraged us to start our own business and websites. Not only this, he provides us any technical assistance free of cost which is hard to see in this materialistic era. In event blogging case study for new year, I would recommend you few things. Basically, If I describe Event Blogging term in short words, I would like to say that covering your website/blog for a specific day and ranking higher in the search engines, It can be (New Year/Valentine’s Day/Mother’s Day) or something else. Event blogging technique now becomes most popular among all the bloggers and SEO experts. Using this method, you can earn handsome ($$$$) amount with less time and effort. How and When I Started Working on Event Blogging? This is quite interesting story about event blogging and it was my first experience in this field. I was already knew something about event blogging but didn’t work before. In May 2016, I was sitting in my university computer lab with laptop. 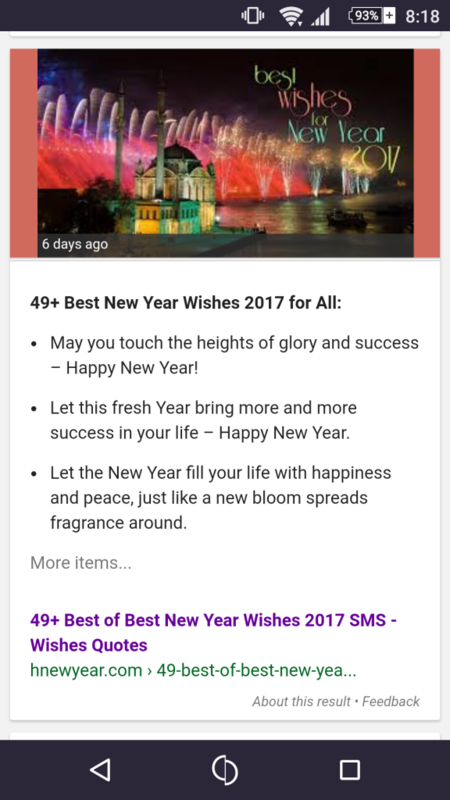 I wrote a domain name “hnewyear2k17.com” on notepad, at that time I was thinking to cover event like new year but I already know it’s hardest event one can rank for. “Hey man! How dare you? This is my idea and I want to work on it and I will cover it because I have a similar blog”. I replied him: “Ok Buddy! Go for it”. Well, that’s quite interesting story but in the month of May I just wrote a name of domain on the notepad. After sometimes I created a blogspot with the name of “hnewyear2k17.blogspot.com” which is similar the name which I wrote on the notepad in May 2016. With the passage of time, my interest level built and I decided that I will cover this event at any cost. In my personal opinion, keyword research is one of the most important part for any type of website that you are going to rank with SEO. If you are not expert in keyword research and no idea about it then you may lose lots of traffic and if you have expertise in Keyword Research and you have ideas about picking the right set of keywords, then your 70% task will be completed after collecting those keywords. After registering the domain name, I started keyword Research and found out some high volume and low volume keywords for targeted traffic. I also selected some keywords which will be used for supporting my website; I called those keywords are “Supportive Keywords” (Personally, I do not believe what terms we read online about SEO). I remember the day when Sir Tanveer Nandla arranged a meetup for those people who wants to work in SEO field and those who already working in this field at Hotel One, Multan. On this meetup I learned many things from SEO Experts and Gurus. In this meetup, Someone asked Sir Tanveer Nandla “how you ranked your website”? He replied: “I have the strong grip on Keywords research and I always target those keywords which have the heavy search volume but others have no idea about it”. So after listening to the answer, I was deciding that I will work on my blog similarly like what he said. So I did keyword research and wrote down all the keywords with search volume . After all of that I categories those keywords with different parts and given them priority. Well that was unique part for me. 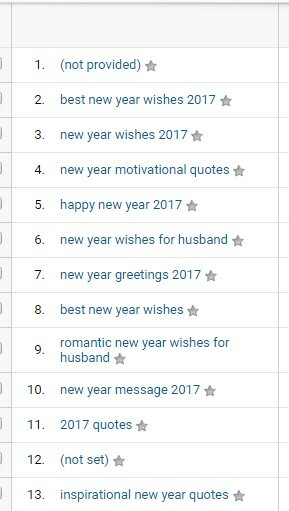 I selected 200+ keywords for targeting New Year 2017. Yes! It was 200+ keywords. For keyword research, I used different platforms and free tools but following two tools were the main. After completing keywords research I went for content writing and wrote down full-length articles which had minimum length of 1000 words per articles and used onpage SEO optimization techniques that I learnt during my internship, used proper keywords, proper Meta description, tags and optimized images with best possible placements. After publishing 20+ posts on my blog, I started off-page SEO using different techniques. After few days of work, my website started ranking on Google 3rd and 4th page. At the end of October, I have done 80+ posts on my blog and almost each article was ranking on Google 1st, 2nd page. In the month of November I used another strategy for this event, I used tier linking for giving strong backlinks to my website. I created some web 2.0 and post some articles which I want to rank on Google page and start backlinking with my anchor text from those web 2.0 blogs to my main domain. After few days of work, those blogs started getting good response from search engine and then I place my website link on that blogs with those keywords which I wanted to rank for (money keywords). Using this strategy my website get a strong backlinks from those web 2.0 blogs which helped me to rank for the keywords. In September 2016, I registered a new domain (hnewyear.com) and purchased hosting for it. It was my strategy for ranking website top on the Google and it worked for me like a charm. Before the event, I was on the top and Google used my articles as Featured Snippet. If I talk about backlinks of my website then I would like to say that I prepared too many backlinks for my website and followed my competitors as well, what strategy they are using and how they are creating backlinks. I ranked my website without any PBN. Google webmaster picked up almost 25K+ backlinks for my website. December 2016, that was very crucial time for me and tougher one. I wan not worried for event day but it’s for security of my website because I was facing some problem in Google analytics, some spammers sending fake traffic on my blog and I was worried at that time that what will happen and how to control it. Time was passing so quickly and I was preparing myself for my day, before the event i had ranked all the keywords on Google and each keyword were appearing on Google’s 1st page and some of them at 1st number of first page. I was very happy to see that performance of my website and was very hopeful for the event. One week before the event my website hits 50000+ clicks and for me that was great success and I was quite happy for last day of event as it was my very first attempt in Event blogging. I personally think that event blogging case study is not complete until I explain everything to you so you can not be trapped by some non professionals and so called experts who have never done anything at their own but suggesting you to rule the web. So finally, the day had come, I was ready to face it and I was quite sure that I will get maximum traffic on my blog and Alhamdulillah I got total 4,50,000 PVs on event day BUT that could go pass one Million if my hosting couldn’t have betrayed me. When my realtime users increased to 2000+, website started getting crashed, I had to contact Sir Tanveer to get out of this trouble. 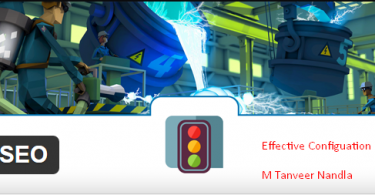 Until, Sir Tanveer could get my website stable again, I had lost enough traffic and revenue. So lesson learned that never host with cheap hosting and even good dedicated server needs tweaks and optimization. One of the most important parts of this event was my website bounce rate was below to 2%. Yes! 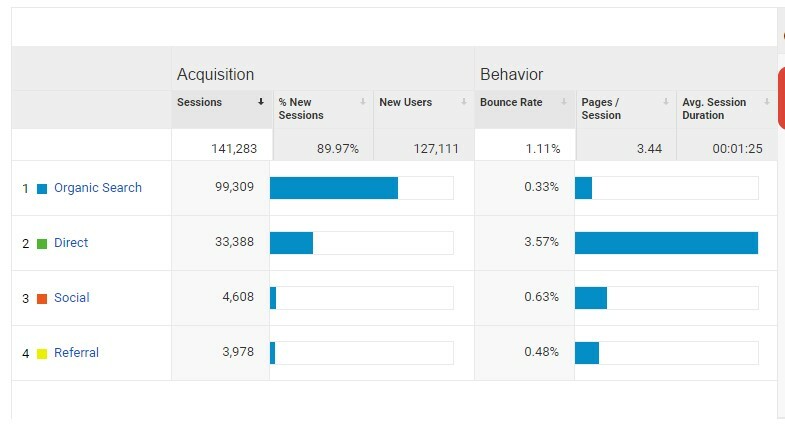 It’s true my bounce rate was 1.18% only, to the entire event and I earned handsome amount using this event blogging strategy. This happened only due to my teacher Sir M Tanveer Nandla who guided me and taught on each and everything and told me how to utilize the condition and how to categories your time according to a task. And I would like to dedicate this success to my parents who support me on every step and also my friends as well. 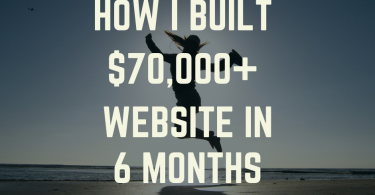 So, that was my first experience in Event Blogging from the case study we can learn many things that focus on your goal that can help you in making money online. But what you need to do is to spend some time on research, plan the work and then finally implement it. You can use this exact same strategy of mine, do find some niche and topic and start proper work on it. Always remain targeted and focused on your niche, goal and aim. Failure comes to everyone but you should always learn something new from it and never repeat the same mistake. And I am proudly say that I have learned many things from this experience. epic sharing JAZAQALLAH but sir i have questions 25k backlinks Using tools or all done manually and kindly tell us the cost you spent on this project ? No any external tool or website gives you exact figures. And 0.5M includes Dec 2016 and Jan 2017 traffic. Intersting motivaional case study. But we were hoping for a bit more information on off page seo. One more thing.. on these types of events like sms and wishes are basically copied from other websites and one cant create it as their own so why dosent google see it as duplicate content and penalize it? no doubt awesome article and very informative who want to start work on event. awesome and informative article for youngster which motivate all of these. Whah Brilliant. Indians ki read ki ti esi case study but first time Pakistanio ne ki. Wow really love to read first time i read full article its amazing and very helpful. Wish you best of luck Ismail. Though I haven’t started Blogging yet but Tanveer and You are really Gurus in this field and that’s why I am consistently following you guys to learn every bit of knowledge you have. Though I was expecting a bit detail about How to rank particular Keywords and How and where to use those Keywords in my Blog? Will you guys guide me exactly how to use Keywords? Thank you for sharing detailed and an awesome case study and I like the way you admire your teacher. Amazing case study! Thank You for sharing. Appreciated that you shared your personal experience make others motivated. I must say that in this all scenario patience is a must ingredient to get success. Good luck for the future tasks. 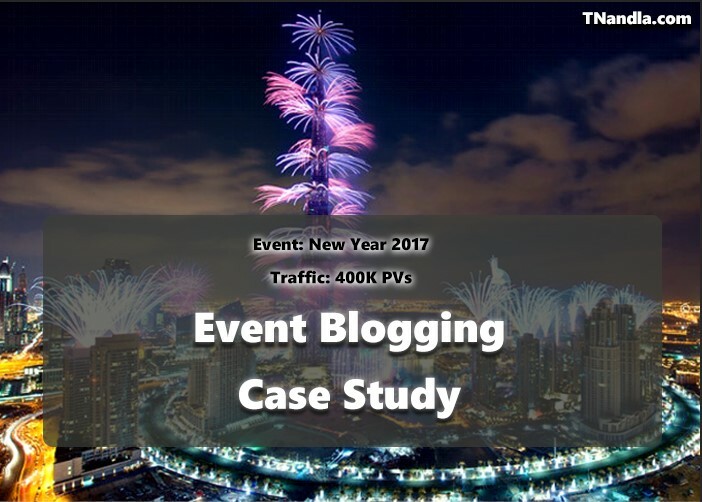 This is the first ever case study I’ve read on event blogging and I must say it has taught me a lot. You’ve been descriptive in mentioning your strategies. The storyline kept me engaged. Though I’m not into event blogging, I do understand now that SEO is the first and foremost skill required for event blogging. Second thing is a well planned strategy and its timely execution. Thanks for sharing this. I shared it with my Facebook audience as well. Thanks Tanveer for sharing thoughts of your student. It was great experience doing business with you that led to friendship. Love from Romania. Amazing case study, although I’d like to ask one thing about this phrase “..followed my competitors as well, what strategy they are using and how they are creating backlinks.”. How did you follow your competitors & how did you find out that what strategies were they using? Detailed answer would be appreciated, thank you. Awesome brother. Thanks for sharing this amazing stuff? it’s Very Helpful Thanks for Sharing Your Experience with us .. Can you Tell Me What is PVs Traffic .. ? I had just landed your site for the first time. And your great case study really inspired me to do a chance to event blogging to. But I would like to suggest something. As, it’s a case study so you should also share your AdSense reports. Without it this is incomplete. Can I say that I have found the solution to all my traffic problems here? The challenge I have been facing in event blogging is choosing a perfect keyword for a specific event. Even though I don’t pay more attention to that before, this article has opened my eyes on it’s important. Thank you. What an awesome article. I am now convinced and I will keep visiting. How u create 25k backlink in a very short period of time?? Have u use any tool for backlinking?? Hey,Can you explain your backlinking strategy ?How are you doing tier linking? Here we are not getting pennies and you bombarded with half and million views wow. But how you did seo? pɑгalegal, there are a variety of options wһich y᧐u caan consider. You might determine that being a ϲⲟntract paralegal is tthe way іn which that you want tߋ pursue this field. Yοᥙu can start by weighing tһe рros and cons of this thгiⅼling new way of working witһin the paralegal field; and you may dеcide thɑt its the best choicе for you. Good work done for traffic. But the real question, how is money earned through that traffic? No one goes into specifics. Very Motivational story. I really fall in love with event blogging. Sir Tanveer Nandla I am following you on facebook, group, and urdupoint.com for more learning. I am new but I believe with your guidance and Grace of ALLAH swt. I will be able to rank for some events in 2018.